We make every effort to ensure that the translation services provided by our company, as well as all its operations, comply with the applicable quality standards and EU directives. 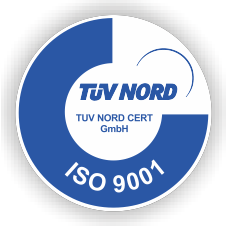 We were one of the first translation agencies in Poland to implement a Quality Management System in line with the ISO 9001 standard. In 2011, we introduced an ISO 14001 compliant Environmental Management System. Finally, in 2012, we implemented an ISO 27001 certified Information Security Management System, whose purpose is to protect information against destruction, theft and misuse. Our goal was to guarantee credibility and the effective protection of data, both our own and those belonging to our business partners, employees, public administration authorities and other relevant persons and entities, all in accordance with the provisions of the law and our internal security regulations. translation process, including those necessary for ensuring quality. The ISO 9001 standard helps ensure the high quality of business management and customer service. In our daily work, we focus on the needs of our Clients, ensuring the high quality of our translations and continuously improving our company operations. The ISO 14001 standard provides for the appropriate environmental performance, testifying to the responsibility and care for the environment inherent in our business. The ISO 27001 standard certifies that information is managed in a properly secure way. We work with various documents and information on a daily basis, much of which are confidential. It is important to us that all employees are aware of our great responsibility, particularly when working on translations for our Clients. 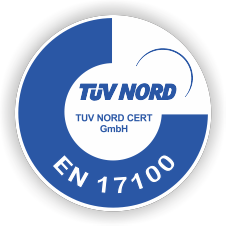 The EN 17100 standard provides guidelines on how to render translation services so as to ensure their highest quality, attesting that they are appropriate for the needs of EU bodies. Skrivanek is a leading provider of language services in the area of translation, interpreting, localisation, DTP and language courses in Poland and 17 countries around the world. In this document, the Management Board of the Skrivanek Group provides guidelines for measures relating to information security. The task of the Management Board is to support the attainment of the objectives outlined in this document. Our principal objective is to ensure the privacy, coherence and availability of information, both our own and those belonging to our Clients in a manner providing for the consistent and smooth operation of our business. We hereby declare to our business partners, employees, public administration authorities and all other entities in our business environment that the entire Skrivanek Group is ready to properly protect the information and the tangible and intangible assets within our control in accordance with the applicable provisions of law in countries where we operate, as well as our internal security regulations. To enforce this policy, our company has implemented an Information Security Management System conforming to ISO/IEC 27001:2013.
improve the efficiency of the information security system by routinely monitoring and reviewing risks, as well as managing security issues and incidents through corrective and preventive action. openly communicate with the public and state authorities on environmental issues. This policy is binding for all employees. The Management Board undertakes to regularly review this Policy to ensure that it is in alignment with the current objectives of the company while providing an adequate framework to identify and analyse QMS and EMS goals and contributing to the continuous improvement of these systems.